There's a city I haven't properly written about yet, and since I'll be soon there again with my sister this time, I've been reading a lot about it&therefore a lot of memories came back to my mind, making me want to write a post about it. I've expressed my enthusiasm about Venice a lot, maybe too much? but I haven't really taken the time to say how much I liked Florence. Maybe because when I was there, I was almost unable to think of something else than the humid heat that seemed to weight on my shoulders when I was walking through, what seemed to be back then, a red desertic city. I know, this isn't the words you'd expect from someone who enjoyed her stay somewhere, but quite unexpectedly I did enjoy Florence a lot. I enjoyed the city itself, I enjoyed the food, the atmospheer, the camping we were staying at, and overall my whole time there. But it was really really really hot. 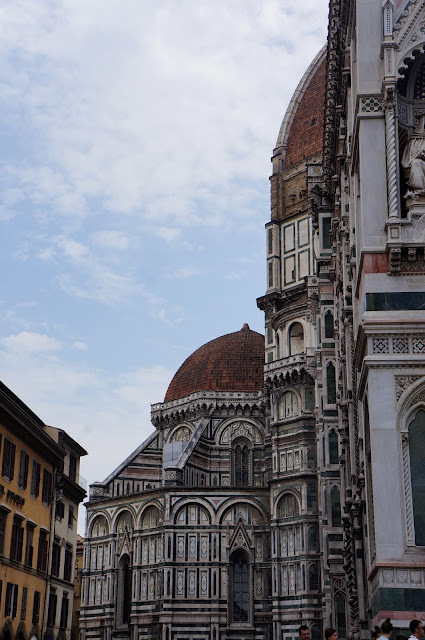 We stayed only a couple of days in Florence, and didn't see as much as I would have liked to, but that's okay, since I'll be back in the beautiful main city of Tuscany in June, which is going to be way less hot, thus way more enjoyable! 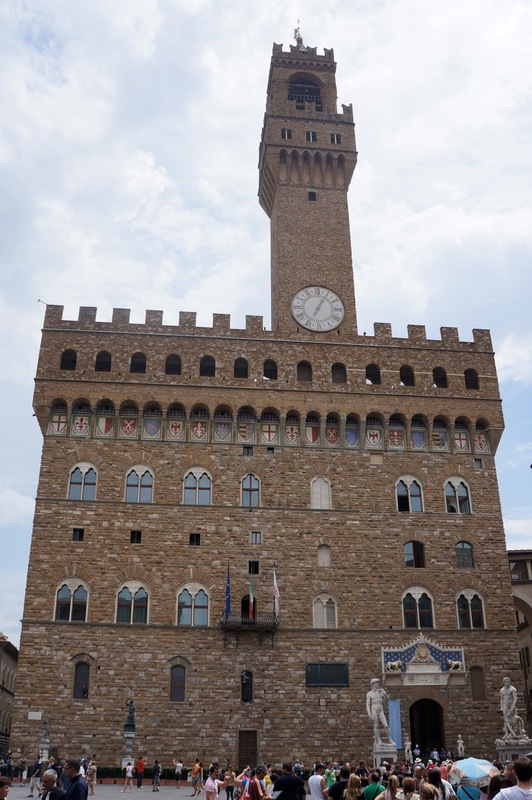 We'll also take time to explore Siena, which I'm very excited about! The view from PiazzaleMichel Angelo is probably one of the most beautiful scenery I've ever seen. The duomo is the 4th biggest cathedral in the world, and to me one of the most outstanding and unique one. Unfortunately Florence is an expensive city, that isn't really appropriate for backpackers, at least that's how I felt about it. I'm not into wine, leather, good restaurants and clothes at all, which is also a bit of a downnote, for Florence is known for those. But the city is just beautiful, and would it be only for the Duomo, I'd tell anyone to stop by! This time I'm impatient to wander in the Boboli gardens, enter Santa Croce and explore Tuscany a bit more, with the visit of the beautiful&medieval Siena. That's kind of funny, how Italy just made its way into my heart, slowly but surely, being now, one of the places on earth I'd say one should absolutely visit no matter what. Last summer during my trip I was exhausted because of the heat, and quite honestly, after being so disappointed of Rome, I thought I'd never come back to Italy. How wrong I was! Beautiful pictures! 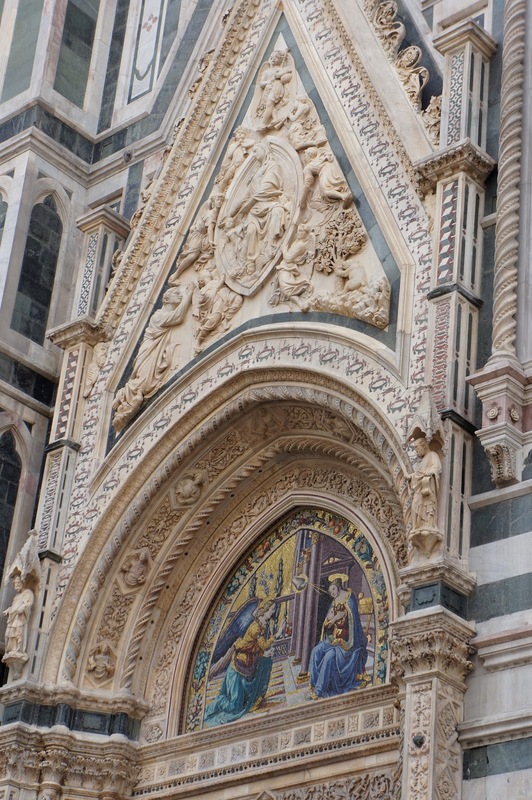 I can't wait to go to Florence one day, I've always wanted to visit the Duomo. I live in a place that gets extremely hot and humid during the summer, I couldn't stand it if it weren't for air conditioning!